Instagram vs Snapchat for Small Business | Infinite Media Corp.
I’ll always enjoy face-swapping and your hilarious filters. So, I hope there’re no hard feelings as I tell the world how much I prefer Instagram for small business! 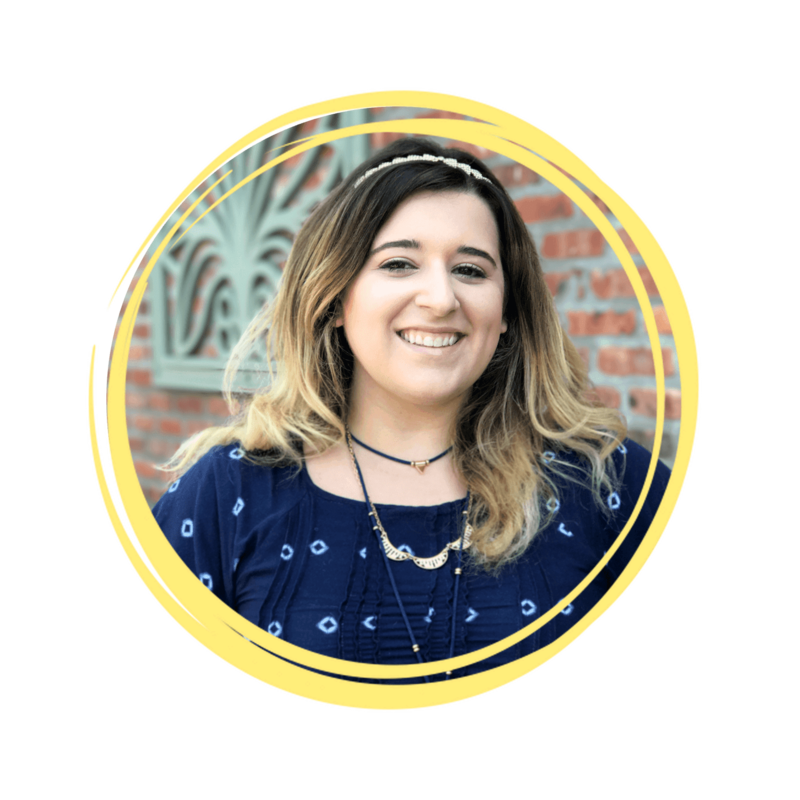 In this post, I discuss why I love Instagram Stories along with the benefits of small businesses using Instagram versus Snapchat to help grow their social media presence. 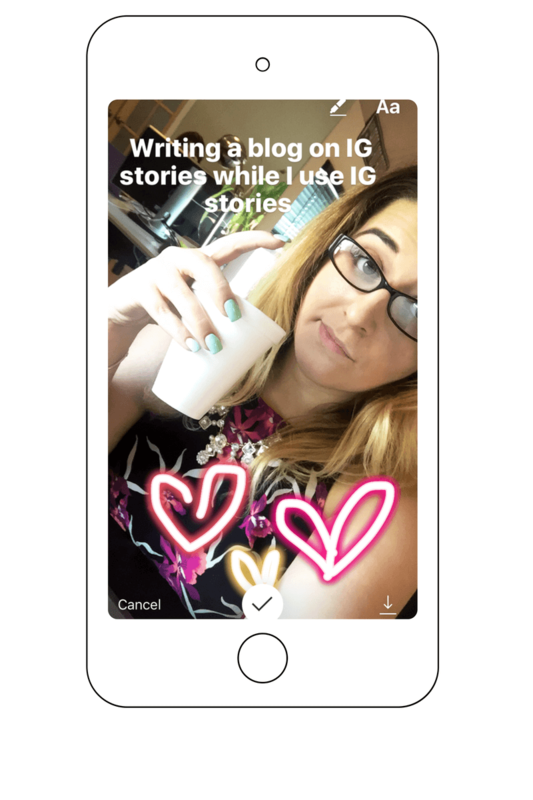 Instagram Stories (though similar to Snapchat) allows you to share all the moments of your day, without spamming the newsfeed of your followers. Instead, your followers can now watch a daily slideshow of “your story,” get a behind the scenes look at your company, or events you’re attending, and it all disappears within 24 hours. You can post quick, amateur pics or supply your audience with little videos each day, saying hello, without having to fill up your profile with the menial content. Personally, I’m now using Instagram as my main way of capturing moments and making others jealous of my Starbucks and sushi. Whether it’s taking pictures with their filters, or recording video with text and emojis, it’s my preferred app. Why Instagram for Small Business? Not only am I enjoying Instagram stories on a personal level, but as a social media manager, I’m enjoying it on a business level as well (yes, there are also coffee and sushi pics on our company Instagram #sorrynotsorry). Often I work with clients who understand social media is important, but don’t know what a platform like Snapchat really does for them, let alone how to use it. Don’t get me wrong Snapchat marketing is hot right now. Instagram knew exactly what it was doing by adopting Snapchat-like features with Stories. Yet, Snapchat seems to require a little more practice in order to use it correctly for your business. For those who may not have the time, resources, or mobile phone savviness, given the choice between Instagram and Snapchat, I say Instagram. 8 reasons why Instagram for Small Business Rocks! I’ll admit I am 27 years old and sometimes I can’t figure out Snapchat. Maybe it’s an age thing, maybe it’s me, but the consensus around the office seems to be it’s not as user-friendly as Instagram. Snapchat tends to be tricky for beginners as it is navigated mostly by swiping in the appropriate direction. More often than not, newbies get put off by Snapchat’s unnatural functionality. Not to mention, Snapchat’s symbols and icons aren’t the most universal either. Basically, Instagram is easier to use because it’s been around longer and has an essence of familiarity. Now, I don’t want to come across as the girl who fears change or is against experimenting with new social platforms. I’m only suggesting for businesses who may be struggling with a social presence, it’s wiser to master what you know is working before overwhelming yourself with something new. And Instagram is working. Audiences are more likely to tap a company’s Instagram Story because it is the platform they’re already on and comfortable using. If you’re a business, it’s smart to appeal to the comfort zone of your customers. Statistically, Snapchat does tend to be for the younger generation. However, that’s not to say that more mature audiences aren’t active on social media. Take my mom for example, (you can’t know her age, she will kill me) she loves Instagram. 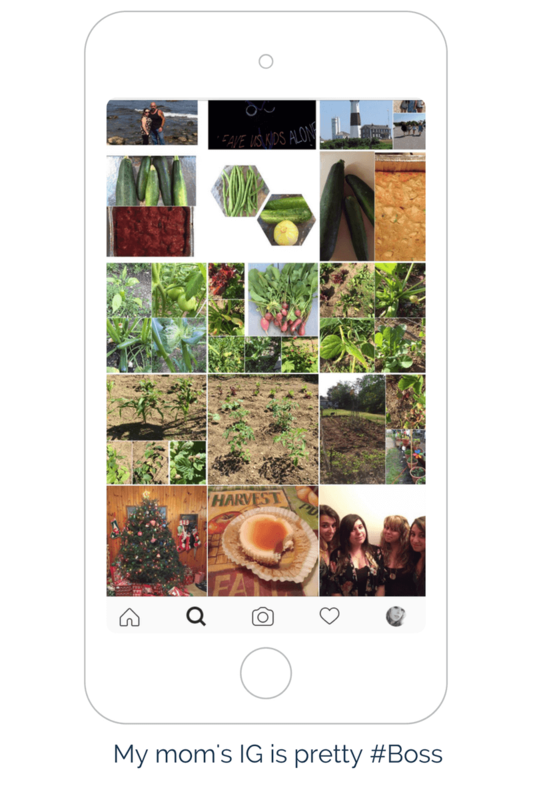 She’s sharing photos of her garden and following her favorite brands and bloggers. She even knows how to tag me in embarrassing photos, so don’t underestimate what parents know about social media. With Instagram, you have more users spanning over a variety of ages engaging on the platform. Instagram’s new ability to mimic the teen and tween appeal of Snapchat makes it the more powerful app because it’s doing such while keeping the attention of older audiences who are passing on Snapchat. It’s easier for businesses to gain followers on Instagram. 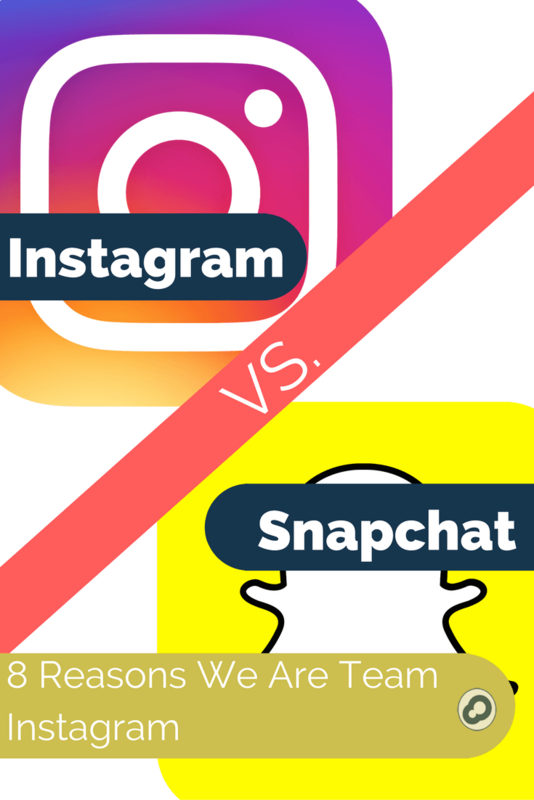 When considering the Instagram vs Snapchat rivalry, this is HUGE for business. Sure you can make a really cool Snapchat ghost for your website and ask people to snap it, but you cannot get the exposure on the actual platform the way you can with Instagram. On Instagram, it’s much simpler for businesses to find people and brands to follow too. You can search hashtags, specific people, and places in Instagram, all by tapping the very recognizable magnifying glass. The most basic strategy to gain social media followers is to follow a bunch of people and hope they follow back. On Instagram, this is much easier to accomplish. When it comes to Instagram vs Snapchat, Instagram has a ton of influencers. Because it is the more common platform, the number of influencers capable of helping expand your brand’s reach is greater on Instagram than Snapchat. Snapchat is also more private, making Instagram the platform much easier to connect and engage with both audiences and influencers. When it comes to social media, if you’re not building relationships, you are missing the whole point. This reason may seem vain, but I promise it’s more beneficial than you think. See, I used to prefer Snapchat over my own iPhone camera for selfies. I would swipe left for a nice filter to blur my dark circles and frizzy hair, then export it into my camera roll to be posted on Instagram or Facebook afterward. Now, Instagram allows you to take a selfie in their Stories feature (exactly like Snapchat. Swipe for beautifying filter, add text, draw on it), save it instantly to your camera roll by tapping the save icon (a few steps less than exporting on Snapchat) and add it to your story. Since Stories disappear in 24 hours, you can still upload it to your Instagram page. Instagram also easily allows you to simultaneously share to Facebook and Twitter, without switching apps, further exposing that awesome selfie. FYI selfies are good for your business Instagram. Audiences love putting a face to the company. A selfie makes your business seem real and approachable. Use this method for capturing other types of photos too, it’s a time saver. There is an appeal in the fleeting, disappearing photos of Snapchat. Why do you think Instagram copied the feature in the first place? However, from a marketing standpoint, the fact that you can save your photo before you upload it into Instagram Stories, and then upload it to your Instagram page permanently (unless you delete it), allows for greater brand exposure. New followers can see some of the things they may have missed and current followers can go back and engage with the photos they liked. Facebook, the reigning king of social media, owns Instagram. Therefore, you can only expect the Instagram platform to get bigger and better. 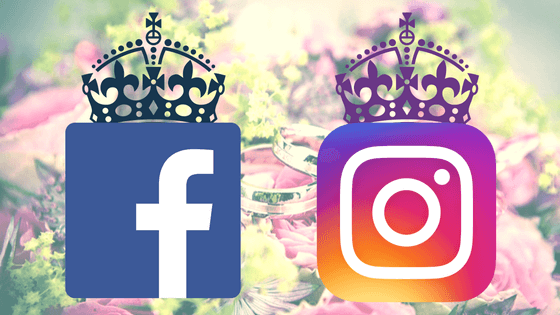 I’d bet money Facebook is working hard to make Instagram their queen so that the two can forever rule the social internet. Instagram also has access to Facebook’s powerful advertising platform. If your business is familiar with using paid Facebook ads to drive traffic, you’ll find it’s a cinch to incorporate Instagram ads into the budget too. You can even run the same ad on both Facebook and Instagram. Keep in mind, I may be head over heels for Instagram today. But with the ever-changing world of social media, who knows what Snapchat will roll out with in response to Instagram’s upgrades? Maybe a brand new platform will surprise us? The only thing you can expect is the battle of the social platforms will continue to bang heads in order to appeal to users. We’ll be sure to keep you updated of all important information in the Instagram vs Snapchat rivalry. Personally, I can’t wait to see what’s next! Infinite Media Corp would love you to weigh in on the social media smack down. 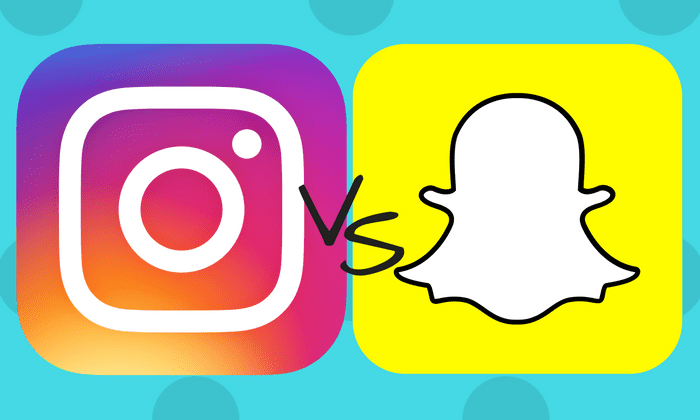 Are you team Instagram or team Snapchat? Tell us on Facebook or Twitter.